Astronaut Hall of Fame at the Kennedy Space Center Visitors Complex. Drivers can try out race cars at the Richard Petty Driving School. There are animatronic dinosaurs at the museum at Dinosaur World. 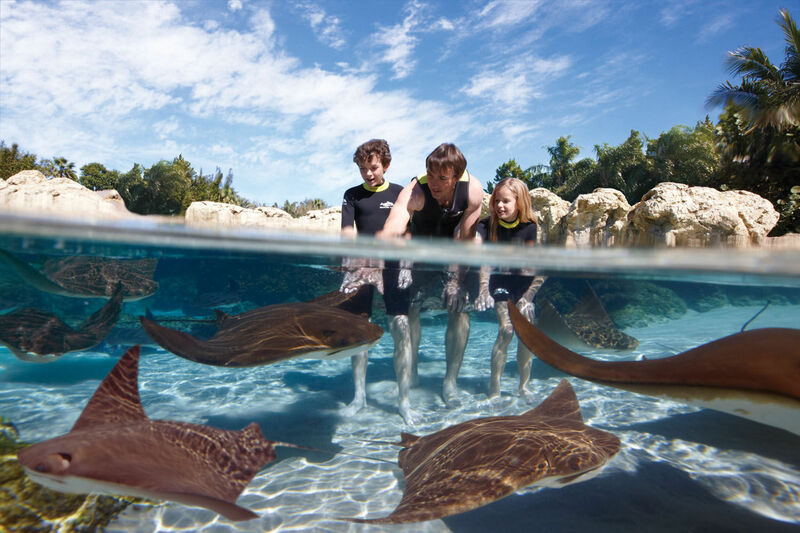 Guests can pet stingrays at the Discovery Cove lagoon. Getting beyond it’s role as the theme park capital of the United States, Orlando also has a fascinating variety of natural, cultural, historical, and downright unusual activities–so many, in fact, that it would take you an estimated 67 days to see everything. Whether you’re sticking to theme parks or venturing beyond, a visit to Orlando’s Official Visitor Center at 8723 International Drive is a smart move. in advance of arrival so you can build an individualized, easy-to-use ticket booklet with just the right amount of time at Walt Disney World, Universal Orlando, SeaWorld Orlando and LEGOLAND Florida Resort. This community zoo is known for its conservation and education efforts, which may be best appreciated by kids from its three Zoom Air ziplines, kids’ trampoline bungee jump, or other active adventures. You’ll find demonstrations and feedings with elephants, cheetahs, and other creatures with tested visitor appeal, as well as something distinctive in a smaller package: the state’s only Insect Zoo. For little ones, ask about weekly storytime schedules. Check the schedule for summer time evening programs, too. Stroller rentals are available. Children 2 and under are free, 3 to 12 years; $13.75 and adults $19.50. Maybe your littlest ones like to point out dinosaurs in picture books, but aren’t tall enough or bold enough to handle the atmosphere of Animal Kingdom’s Dinosaur ride. Here’s a possible solution–a 20-acre park of over 150 lifesize dinosaurs that stand perfectly still. 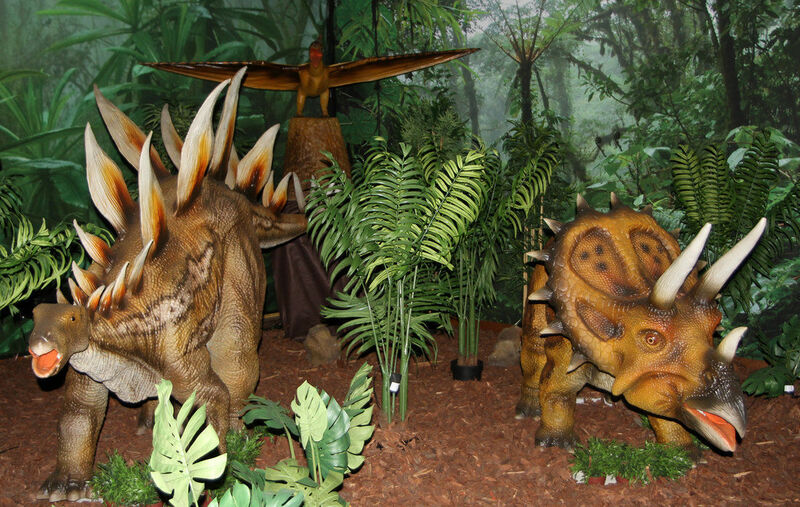 Like its sister parks in Kentucky and Texas, Dinosaur World Florida allows visitors an experience not unlike walking through a prehistoric picture book. There’s a small museum with some animatronic dino limbs that move, a few shows, and a “fossil dig” activity that lets kids find and take home their own small fossils or small “gems.” The pathways are paved and though there are no food facilities, picnicking is allowed. Save a few dollars when you purchase online. Children sart at $11.72 and adults $17.07. This guided tour-based attraction is designed especially with kids in mind, and makes an especially fun sidetrip for urbanite families seeking some country air. Two-hour tours run continuously throughout the day, allowing visitors a hands-on visit with a variety of farm animals. Kids will be able to try their hands at milking a cow and riding a pony, and everyone can jump on the hayride. This is another place to bring a picnic and there are abundant patches of shade around the grounds. Go in October to find a future jack o’ lantern in the pumpkin patch; Easter Egg Hunts at Easter and other special weekends round out the calendar. General admission starts at $23 for adults, $20 for children ages 3 to 12. Another roadside attraction? Maybe, but this is one of Florida’s largest and most elaborate, with 110 acres devoted to that toothy Florida icon, the alligator. After entering the park through a giant concrete gator head, fans of “Crocodile Hunter” style entertainment will love the alligator wrestling and jumping shows. Crocodiles, snakes, flamingos and many other species of birds, bats, and other wildlife also make an appearance. Little ones can get their faces painted, hop on the Gatorland Express train, and hang out at the Lily’s Pad playground. Adventure Tours are also available for brave families who want to try their hand at gator wrestling, ziplining, explore behind the scenes, view gators at night or be a trainer-for-a-day. All of this was started in 1949 by Owen Godwin, a man with an alligator pit in his backyard and a dream. Adult admission runs $26.99 and children ages 3 to 12; $18.99. Children 3 and under are always free. It’s an investment, but if your family wants to get up close and personal with undersea life, this could be the experience of a lifetime. Guests make reservations for this limited-admittance park, then check their clothes and shoes for the day upon arrival. Wetsuits in sizes all the way down to toddler are included in the admission price. Attractions within Discovery Cove combine science with entertainment: dolphin training and swim session for ages 6+, lagoon with rays and trainers ready to assist, and a lazy river that winds underneath an aviary. The all-inclusive price also covers continental breakfast, lunch, snacks, snorkel gear, towels, sunscreen, and admission to SeaWorld Orlando, Aquatica waterpark and Busch Gardens Tampa over seven consecutive days. Prices start at $243.89 per person, tax included. In Lake Wales, the adults will especially enjoy the historic Bok Tower and gardens, one of Florida’s most famous landmarks, located on the peninsula’s highest point. The sanctuary’s renowned 205-foot-tall bell tower houses one of the world’s greatest carillons and recitals are given throughout the day. Surrounding the tower are 128 acres of exquisite gardens designed by Frederick Law Olmsted, Jr. The grounds are also home to Pinewood Estate, a 1930’s Mediterranean Revival manor, open for touring and dining. Stop to pick up a Garden Guide at the Education & Visitors Center. It has a children’s interactive exhibit area, and lends out “discovery backpacks” free that include books on plants and wildlife, interesting facts about Bok Tower Gardens, bubbles, binoculars, a compass and other tools to explore nature. The Sanctuary is open daily; children under 5 free. Adult admission, $18; children, $8. But, walk the family past the plastic and into the other-worldly botanical gardens. Cypress tower over the shoreline of Lake Eloise (where there’s a gravity defying water ski show), and well-labeled King palms, tropical flowers, topiary and dense plantings recall a long-ago era when Florida was less developed. There are plenty of benches to enjoy it all. Admission starts at $89 for adults, $82 children with advance purchase. Spring breakers and NASCAR fans know that Daytona is only about an hour’s drive from Orlando, but you and your older teens won’t even have to go that far to experience stockcar driving. Located at the Walt Disney World Speedway near the theme park — one of 16 such tracks in the US — RPDE allows visitors 18 and over (with a driver’s license and familiarity with standard transmission) to drive at a safe distance behind an instructor at speeds up to 140 mph, based on comfort level and ability. Those 16+ who wish to ride along with an instructor will pay less and go faster, though they won’t be behind the wheel themselves. 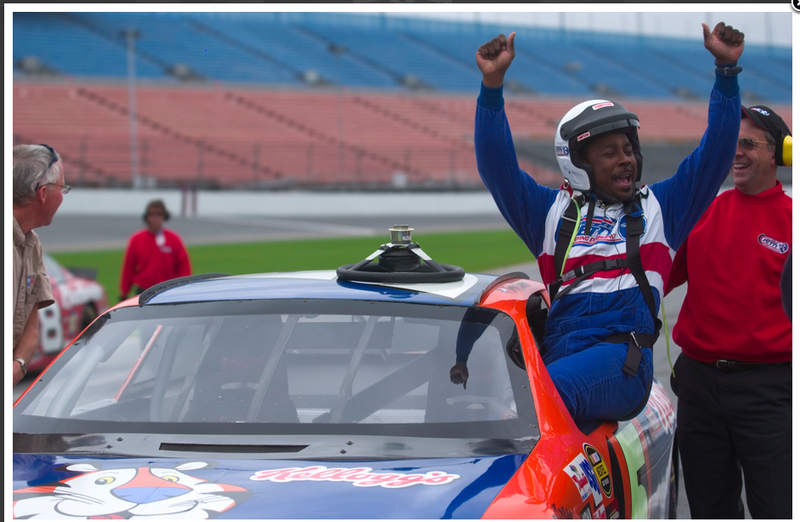 Special seating is available for family members to watch, and those who take the plunge don’t regret it–check out the website for an extensive list of celebrities who have tried their hand at driving. Rates start at $109 depending on the package and track. This strange but locally treasured attraction is appealing for a few reasons: it’s off the beaten path, it’s cheaper than most any other tourist attraction you’ll visit, and its focus on snakes instead of gators makes it unique, as Florida reptile collections go. Though probably not for the squeamish, the highlight of a visit to Reptile World is witnessing the daily scheduled “milking” of venom from poisonous snakes to be used in scientific research. Visitors claim that the snakes — cobras, mambas, rattlesnakes, giant pythons and 60 other species — look more “alive” and active here than they tend to look in zoos, and iguanas, turtles, and the token gator also make an appearance. Closed Monday. Adult admission runs $8.75; ages 6 to 17, $6.75; ages 3 to 5, $5.75. If there aren’t any great outlets in your neck of the woods, teen shop-a-holics may want to hit one of the major outlet venues in the Orlando area. Orlando Premium Outlets (407/352-9600) are the places to go for high-end names like Burberry and Kenneth Cole, with nearly 300 stores to choose from in their two huge malls. Lake Buena Vista Factory Stores (407/238-9301) have nearly 50 outlets–here you will find The Gap, Oshkosh B’gosh, and Levi’s. A shuttle leaves from many area hotels and coupons are available on the website. For a more posh and airconditioned shopping at Prada, Burberry, Fendi, Chanel and other major designers who appeal to Orlando’s many international tourists, visit the Mall at Millennia (407/363-3555), where the window shopping is really fun. The headwaters of the Everglades aren’t far from Orlando at all, and this unique tour experience is an interesting way to see a more natural version of the area. Tours in the noisy, jet-engine powered boats depart every half hour, and airboat passengers might see gators, bald eagles, and other wildlife amidst the cypress-lined wetlands as they glide over the water. Check their website to see which of two departure points are most convenient for your visit. Located about 45 minutes away from Orlando, this NASA visitor center was built in 1967 for astronauts’ families to view space center operations. Today, it’s open to the public with behind-the-scenes tours, fun interactive activities, a huge IMAX theater and opportunities to meet an astronaut at the U.S. Astronaut Hall of Fame. 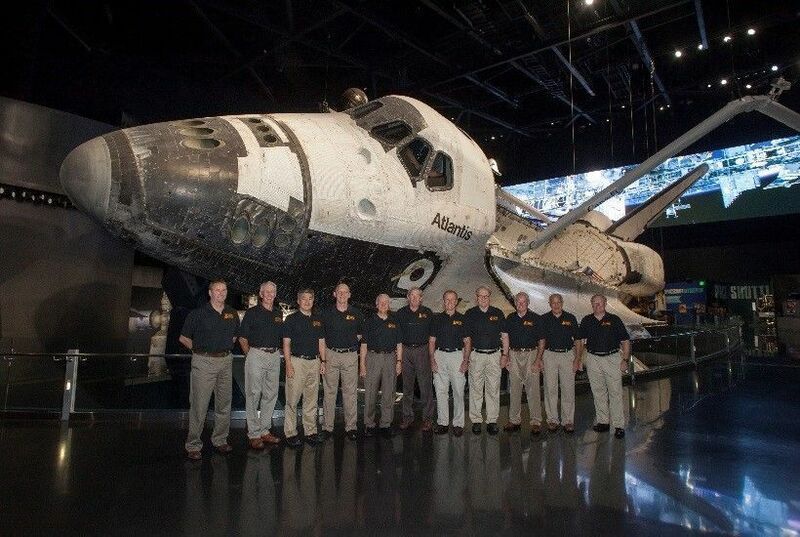 The Space Shuttle Atlantis exhibit offers visitors a chance to get nose-to-nose with the final shuttle orbiter to fly a NASA mission, and features features state-of-the-art multimedia and more than 60 interactive exhibits and simulators. Smaller children will also have plenty of places to climb on rockets and play. Adults, $27.95; children 3 to 10, $21.95. The highlight of this regional Science Center are its 3D theatres, one for scientific and documentary IMAX style movies (such as “The Hidden Universe” and “Pandas: Journey Home 3D”), the other for current Hollywood hits. Several times daily there are Science Live! shows of storytelling, music and more; interactive displays on healthy living and measurement, a hands-on laboratory, a flight simulator, a planetarium, and an observatory round out the experience. There are also temporary shows featuring favorite kids’ nerds like Dora and Diego. After 50 years here, the OSC is a worthwhile stop for inquisitive kids. Adults, $19.95; kids $13.95. Every winter (mid-November through March), endangered West Indian manatees move to the warm waters of Blue Spring, attracted to the 2,600-acre park and the largest spring on the St. John’s River. Ranger talks offer information and Q&A about these gentle giants, and the rangers know each manatee by name. When the manatees leave during the hotter months, humans can move back into the water for swimming, snorkeling, and tubing. Picnic areas, a hiking trail, camping in tents, RVs and cabins, and guided river boat tours are also available. The park can get very crowded on weekends, when admission is restricted, but it’s still a natural escape from the Florida freeway and the manatees are fascinating. $6 per vehicle. Ah, miniature golf–there’s no better way to bring out the competitive streak in various family members, and Orlando is no exception to the many family tourism areas around the country with a proliferation of campy mini-golf courses. Of course there is mini-golf available at Disney, and here are some other options for the active imagination: Hawaiian Rumble Adventure Golf has two Orlando locations; Pirate’s Cove Adventure Golf and Tiki Island Volcano Golf are also very popular.